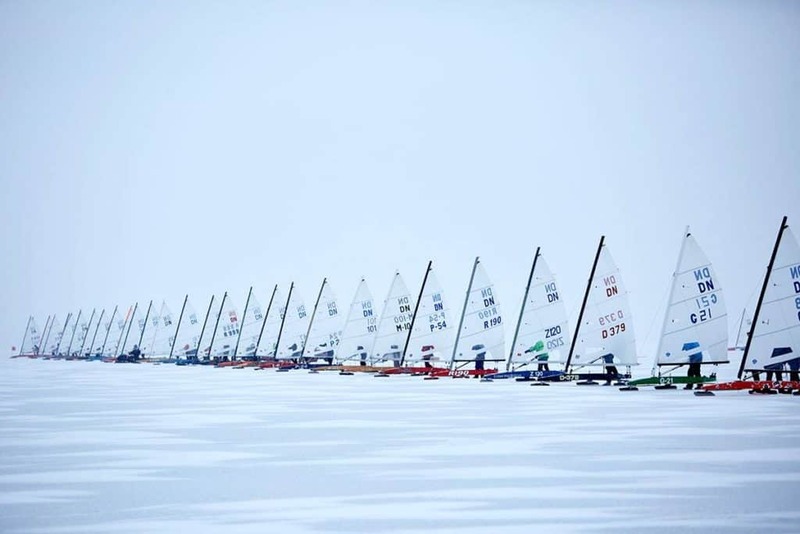 Beautiful ice, a sunny day, fair winds, and an iceboat rigged and ready to go; watch Mel Nichols (who happens to be 100 years old) sail a DN on Michigan’s Wolf Lake this week. 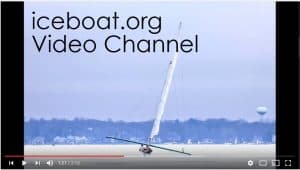 Thanks to Mel’s son-in-law, Bruce Brown, for sharing the video. Steve Orlebeke: At The Front! 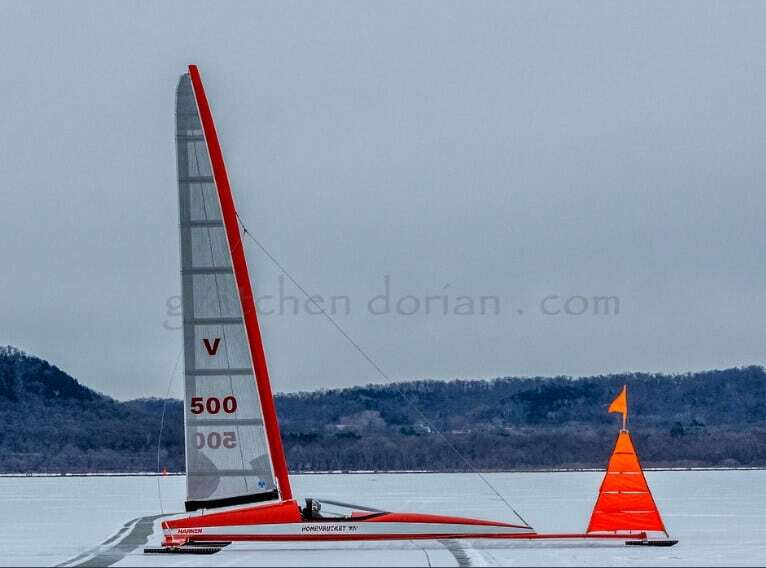 Steve Orlebeke sailing a Class A Skeeter at the Northwest regatta on Lake Pepin, MN, January 20, 2019. 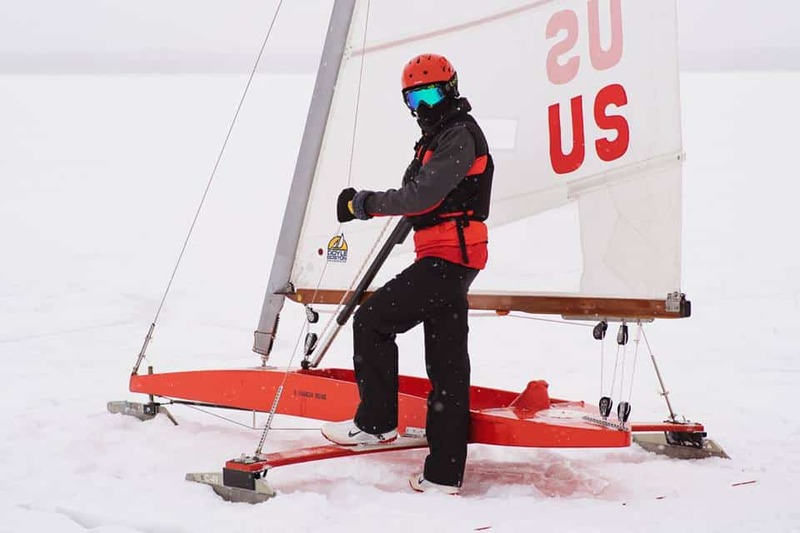 4LIYC Skeeter & DN sailor and head of Harken Engineering Steve Orlebeke explains why he’d rather be on ice in the Harken publication, At The Front. 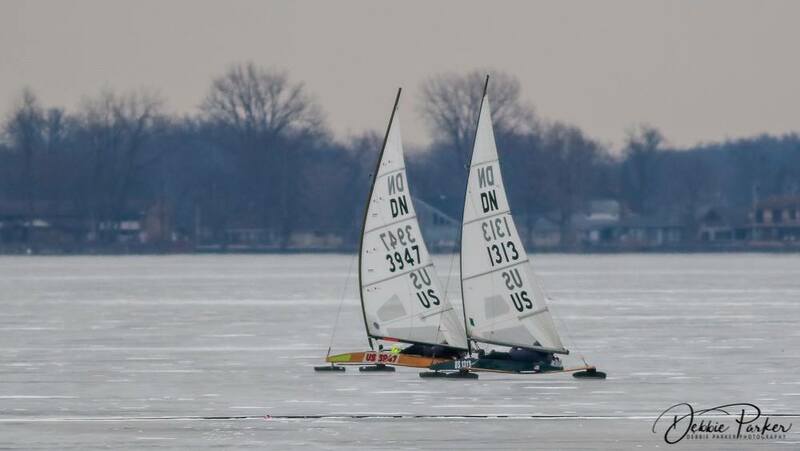 Like a lot of us here in Pewaukee, I’m a lifelong sailor. Maybe less like most of us, my favorite sailing is done where you really hope you never get wet. For the last several years I’ve been working as hard as I can in the Skeeter and DN iceboat classes. I descend from a grand Harken tradition. Get them in the right moment, Peter and Olaf might let slip that they like iceboating best too. Read more. A quick update before heading out for the first day of the DN North Americans on Lake Wawasee in Indiana. Yes, we’ve moved 3 hours west from Ohio to better ice. 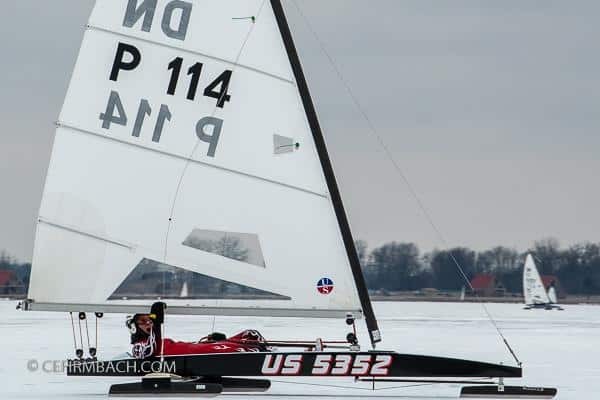 You’ve all probably heard by now that 2019 DN World Champion, Michal Burczinski of Poland, won the regatta in a boat borrowed from 4LIYC member and Spaight St. Syndicate director Daniel Hearn, and not just any boat, Daniel’s best equipment. An incredible testament to true sportsmanship by Daniel when he learned that the Polish boats were delayed in transit and wouldn’t make the regatta in time. But that’s not the only 4LIYC boat on the line. 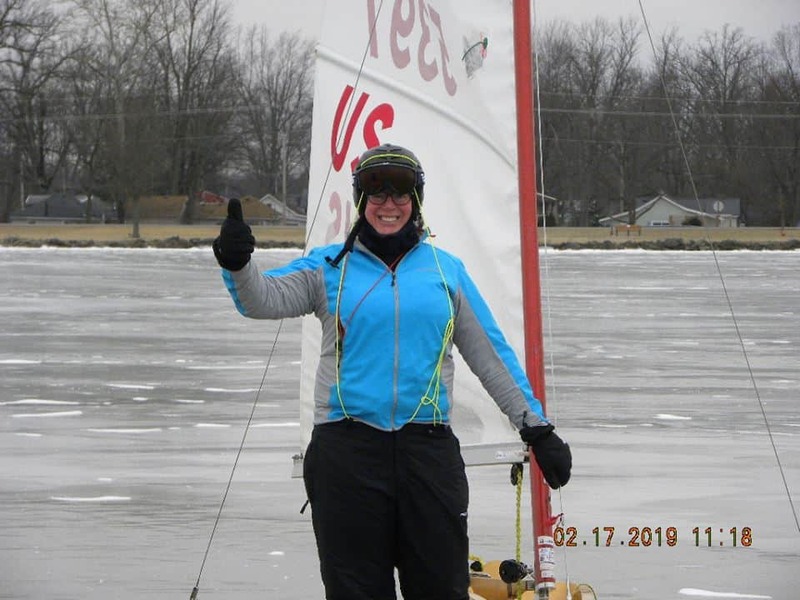 Jori Lenon loaned her boat to land sailor Renee Fields of Nevada who had never sailed an iceboat prior to this regatta. Renee was the third highest placing female in the Gold Cup. I think we may have another convert. So thank you Jori and Daniel for helping to promote this sport by loaning your boats to competitors. Follow the action at idniyra.org! Off to the lake…. 4LIYC Goes East to Ohio! Several members of the 4LIYC including Daniel Hearn, Dave Elsmo and myself will be heading to the 2019 IDNIYRA Gold Cup and North American championship which has been called on for Indian Lake, Ohio. This is going to be a good one to watch – as of this morning, 112 competitors are registered with surely more to register tonight. I’ll try to post updates throughout the week. Safe travels to everyone! 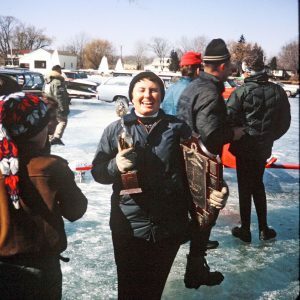 In Brief:Daniel Hearn, ice sailor of the Gold Fleet, spoke with the editors of True about the magic of the hard water. Read more.